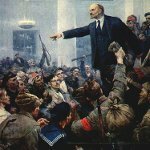 In the Soviet Union, the anniversary of the October Revolution of 1917 (November 7) was the most important public holiday. After the dissolution of the USSR, most former Soviet republics chose to discontinue the celebration. However, Belarus still celebrates October Revolution Day as a public holiday. 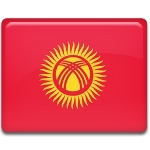 On November 7, Kyrgyzstan celebrates Press Day, also known as the Day of Information and the Press. 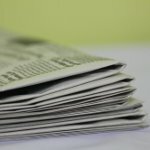 This professional holiday was established to commemorate the publishing of the first issue of the country's national newspaper, Erkin-Too, in 1924. Hungarian Opera Day is an annual observance held in Hungary on November 7. It was officially established in 2013. 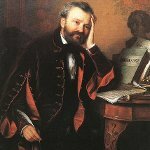 The holiday is dedicated to famous Hungarian composer, conductor and pianist Ferenc Erkel who is probably best-known for being the father of Hungarian grand opera. 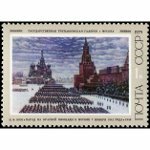 November 7 is the anniversary of the 1941 October Revolution Day parade in Russia. It is one of the country's Days of Military Honor dedicated to the most outstanding military victories won by Russia throughout its history. 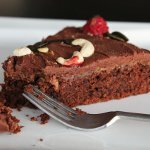 November 7 is Chocolate Mud Cake Day in Sweden. 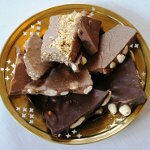 This unofficial holiday is dedicated to a popular Swedish dessert. 2016 Died: Leonard Cohen, Canadian singer, songwriter, musician, poet, novelist, and painter. He was inducted into both the Canadian Music Hall of Fame and the Canadian Songwriters Hall of Fame as well as the Rock and Roll Hall of Fame. 2011 Died: Joe Frazier, American boxer, known by his nickname Smokin' Joe. He was Undisputed World Heavyweight Champion, whose professional career lasted from 1965 to 1976. 2007 A 18-year-old student Pekka-Eric Auvine opened fire in Jokela High School in Jokela, Finland. He killed 8 people and wounded one person before committing suicide. 2002 Died: Rudolf Augstein, German journalist, one of the co-founders and a part-owners of Der Spiegel magazine, one of Europe's largest publications of its kind. 2000 Died: Ingrid of Sweden, Queen of Denmark from 1947 till 1972. 2000 The U.S. Drug Enforcement Administration discovered one of the country's largest LSD labs inside a converted military missile silo in Wamego, Kansas. 1990 Died: Lawrence Durrell, British author, well known for his tetralogy The Alexandria Quartet. 1983 A bomb exploded inside the United States Capitol. The were no causalities, but the explosion caused an estimated $250,000 in damage. 1980 Died: Steve McQueen, American actor, often called the King of Cool. His most famous films include The Sand Pebbles, The Thomas Crown Affair, The Getaway, Papillon, The Great Escape, The Magnificent Seven etc. 1967 Born: Sharleen Spiteri, Scottish singer-songwriter and actress. The audience knows her as the lead singer of the rock band Texas. 1962 Died: Eleanor Roosevelt, American politician, diplomat and activist, wife of President of the USA Franklin D. Roosevelt, First Lady of the United Sates from 1933 to 1945. 1960 Born: Tommy Thayer, American musician ans songwriter, best known as the lead guitarist of the American hard rock band Kiss. 1959 The UN General Assembly adopted a resolution calling for the United Kingdom, France and Israel to immediately withdraw their troops from Egypt. 1944 Died: Richard Sorge, Azerbaijan-born journalist and spy. He worked under cover as a German journalist in both Nazi Germany and the Empire of Japan, providing the Soviet Union with the information about Adolf Hitler's plan to attack the Soviet Union. 1943 Died: Dwight Frye, American stage and screen actor, remembered for his roles in the classic horror films, including Dracula, Bride of Frankenstein, The Crime of Dr. Crespi, The Vampire Bat etc. 1943 Born: Michael Spence, American economist, the 2001 Nobel Memorial Prize in Economic Sciences recipient. He shared the prize for the work on the dynamics of information flows and market development. 1941 Soviet hospital ship Armenia was sunk by German planes during evacuation of the refugees. Over 5,000 refugees died in the sinking of the ship. 1929 Born: Eric Kandel, American neuropsychiatrist. In 2000 he won the Nobel Prize in Physiology or Medicine for his research on the physiological basis of memory storage in neurons. 1929 The Museum of Modern Art was oped to the public in New York City. This museum is often identified as the most influential museum of modern art in the world. 1919 The United States Department of Justice conducted the first Palmer Raid, arresting over 10,000 suspected communists and anarchists in 23 different cities of the USA. 1916 Died: Henry Ward Ranger, American artist, a prominent landscape and marine painter, the leader of the Old Lyme Art Colony. His famous works include Top of the Hill and East River Idyll. 1913 Born: Albert Camus, French author, journalist and philosopher. He is world known for the essay The Rebel. In 1957 he was awarded the Nobel Prize in Literature for his important literary production, which with clear-sighted earnestness illuminates the problems of the human conscience in our times. 1912 The Deutsche Oper Berlin, the second largest opera house in Germany, opened in Berlin. It's first performance was Beethoven's Fidelio. 1903 Born: Konrad Lorenz, Austrian zoologist, often regarded as one of the fathers of modern ethology. In 1973 he shared the Nobel Prize in Physiology or Medicine for discoveries in individual and social behavior patterns. 1888 Born: C. V. Raman, Indian physicist, known for his ground breaking work in the field of light scattering. This work brought him the 1930 Nobel Prize for Physics. 1867 Born: Marie Curie, Polish physicist and chemist, famous for her research on radioactivity. She became the first woman to win a Nobel Prize and the first person to win it twice in multiple sciences (the 1903 Nobel Prize in Physics and 1911 Nobel Prize in Chemistry). 1832 Born: Andrew Dickson White, American diplomat, historian and educator. He was one of the co-founders of Cornell University. 1687 Born: William Stukeley, English archaeologist and physician. He pioneered the archaeological investigation of the prehistoric monuments Stonehenge and Avebury and was one of the first biographers of Isaac Newton. 1665 The London Gazette was published for the first time. This issue is claimed to be the oldest surviving British newspaper. 1633 Died: Cornelis Drebbel, Dutch builder and inventor. His best known invention is the first navigable submarine. 1492 The Ensisheim meteorite stroke the Earth around noon in a wheat field outside the village of Ensisheim, Alsace, France. This is the oldest meteorite with a known date of impact.